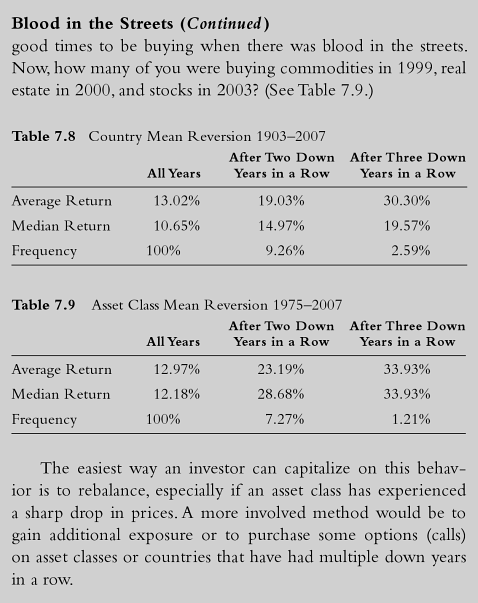 According to the Ivy Portfolio the median country returns from 1903 to 2007 is 10.65% (all years), and 14.9% after three down years in a row. 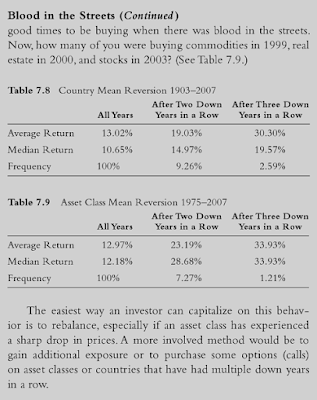 Recent data by Dimson, Marsh, Staunton database showed a median country returns of 8.74% (all years) and 15.94% after 3 down years in a row, both suggest that you will double the median return of all years if you own a country etf that is down 3 years in a row. 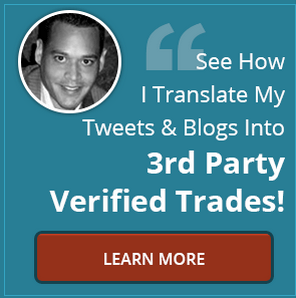 It's a very rare occasion that only happens 3% of the time. 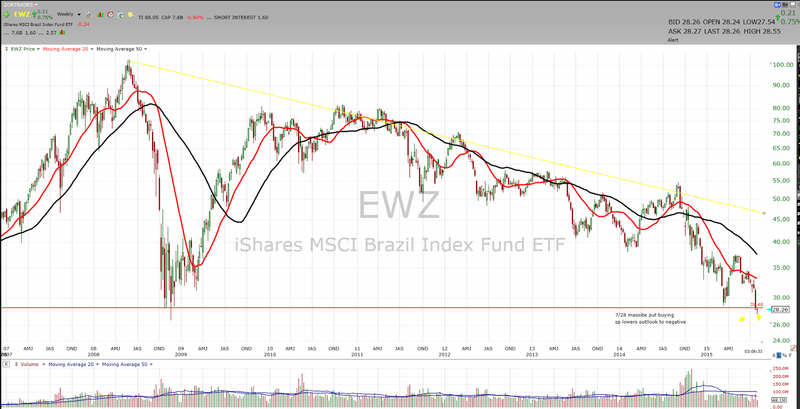 Currently Brazil $EWZ is down multiple years in a row and is the only candidate right now to possibly double the median country return. I bring this up now because recently there has been massive put buying in $EWZ and just today Standard and Poors lowered their rating on Brazil to a negative. The ETF responds by bouncing from the 2008 lows, printing a hammer on the daily chart, and possibly a failed breakdown on the weekly chart, all which I believe has bullish implications in the short term. 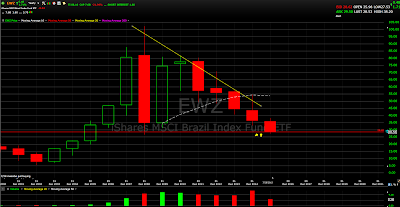 With $EWZ down 47.76% from its 52 week high, 20% below its 200 day moving average, down 13.78% in the last month, -22.58% in the last 3 months, and 61% in the last 5 years. 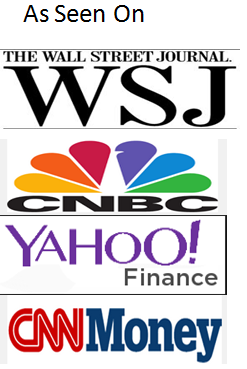 If time is on your side and you have the stomach for it you may want to consider this ETF. I'm sure it won't be an easy ride. 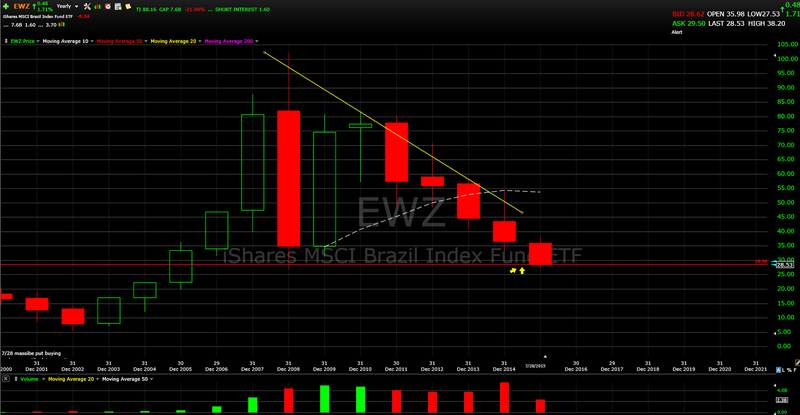 p.s on a adjusted close basis EWZ was up in 2012.